North Carolina exempts all Social Security retirement benefits from income taxes. Other forms of retirement income are taxed at the North Carolina flat income tax rate of 5.499%. The state’s property and sales taxes are both moderate. Is Social Security Taxable in North Carolina? How high are property taxes in North Carolina? From the Outer Banks to the Smoky Mountains, there are many wonderful places in North Carolina to settle down for your retirement. 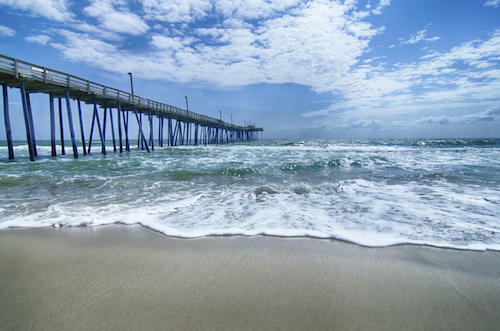 Whether you prefer sitting on the beach, hitting the links or exploring nature, there will be plenty of opportunities to do what you love in the Tar Heel State. While North Carolina’s retirement taxes aren’t quite as low as several other southeastern states, many retirees will find them acceptable. North Carolina exempts all Social Security retirement benefits from income taxes. Other forms of retirement income are taxed at the North Carolina flat income tax rate of 5.499%. Other taxes seniors and retirees in North Carolina may have to pay include the state’s sales and property taxes, both of which are moderate. Read on to learn about these and other retirement taxes in North Carolina. 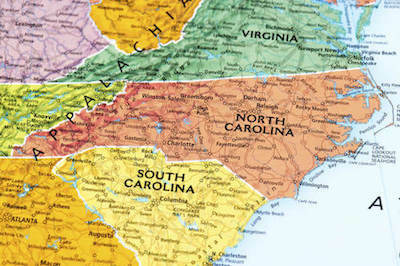 Is North Carolina tax-friendly for retirees? North Carolina is moderately retirement tax-friendly. It does not tax Social Security retirement benefits. The state also has low property taxes and sales taxes near the national average. Seniors with significant income from sources other than Social Security will have a larger tax bill in North Carolina. The state taxes other forms of retirement income as regular, non-deductible income. No. All Social Security retirement income can be subtracted from your taxable income when you file your North Carolina income tax return. Are other forms of retirement income taxable in North Carolina? Yes. Income from a pension, a 401(k), an IRA and any other type of retirement account are all taxed at the North Carolina state income tax rate of 5.499%. Unlike many other states, North Carolina does not allow deductions on any type of retirement income. However, the North Carolina standard deduction is fairly large. It is $8,750 for single filers, $17,500 for joint-filers and $14,000 for heads of household. North Carolina has relatively low property taxes. The state’s average effective property tax rate is 1.05%. This means that on average homeowners can expect to pay about $1,050 annually for every $100,000 in home value. Low property taxes are one reason housing costs in North Carolina are 4% lower than the national average. That also contributes to North Carolina’s low cost of living. When including things like transportation and food, the cost of living in North Carolina is 1.7% below the national average. What is the North Carolina low-income homestead exclusion? Older homeowners (age 65 and older) with household income of no more than $29,600 can claim the North Carolina low-income homestead exclusion. The exclusion is subtracted from taxable value and is equal to either $25,000 or 50% of taxable value, whichever is greater. For eligible seniors, this can mean hundreds in property tax savings every year. Senior homeowners whose income is no more than $44,400 may also qualify for a property tax deferral via the Circuit Breaker Tax Deferment Program. This does not reduce property taxes but defers payment of taxes owed until a later time, typically when the home is sold. How high are sales taxes in North Carolina? North Carolina’s total state and average local sales tax rate is 6.9%. This ranks as the 24th highest in the nation. In other words, it is close to average. In most counties, the total rate is either 6.75% or 7%. The exceptions are Durham County and Orange County, where the rate is 7.5%. Unlike many states, North Carolina taxes groceries, albeit at a reduced rate. The rate on most food is 2%. Prescription drugs are fully exempt from the sales tax. What other North Carolina taxes should I be concerned about? North Carolina eliminated its estate tax in 2014, so seniors who are planning on leaving wealth or property for their loved ones don’t need to worry about that. Retirees with investment income outside of a retirement account should be aware that capital gains in North Carolina are treated as regular income. They are taxed at the state rate of 5.499%.